In 1861, Alonzo Kingsbury, son of the first Addison Township Supervisor, deeded to the township a parcel of land. A few years later, a log schoolhouse was constructed on this site and named for Kingsbury. This first structure burned to the ground shortly after opening and was replaced in 1868 by the frame structure still in use today. Education in the one-room Kingsbury School continued until 1932, and for all that sixty-plus-year period, there was little change in school life. One teacher, usually a young woman, was employed to teach all subjects to all grades, tend the wood stove, draw the water and sweep the floor. For this, she was paid little, but was given lodging in the homes of her students, moving often to spread the burden of her keep. The children walked to school from their farm homes. Fathers contributed wood and labor if repairs were necessary. Older children often helped younger ones with their work. Education at Kingsbury then, as now, was personalized. It was, and is, a community school. By 1932, the number of children had grown too few and the school was closed. The building stood empty, with weeds growing up to the windows. 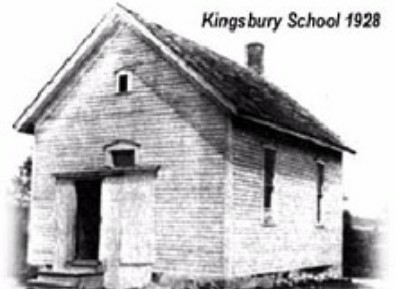 In 1952, just as a neighboring farmer was preparing to tear down the old schoolhouse to use the lumber for a chicken coop, Kingsbury was saved. Mr. and Mrs. Carlton (Annette) Higbie bought the schoolhouse and leased the land, planning to open an independent (private) school. The Higbies painstakingly restored the building, even the "little house out back" which became a storage shed. Two new rooms were added. 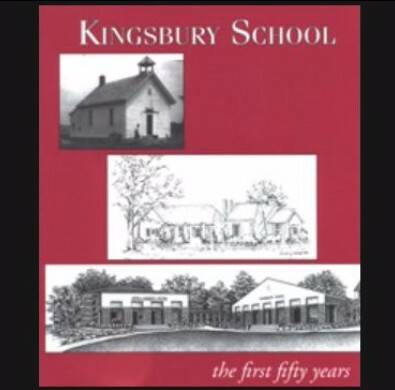 In September, 1953, Kingsbury School re-opened as an independent school. 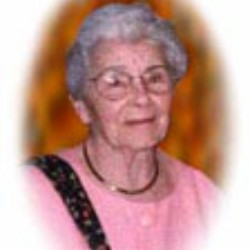 Carlton Higbie died in 1955, but Mrs. Higbie, later Mrs. West Gallogly, remained an active part of the school life until a short time before her death in 2002. For the first eighteen years, the school operated under the auspices of the Buckley School of California. In 1971, Kingsbury was incorporated in Michigan as a non-profit educational corporation, and the affiliation with Buckley ended. By 1975, Kingsbury had completed the strenuous, multi-year accreditation process and was awarded its full certification from ISACS. Also in 1975, the Kingsbury Plan was adopted. This called for the beginning of an environmental education program, addition of the seventh and eighth grades and the construction of a new building. The very modern design of the new building was completed on a parcel of the Higbie farm located on the southwest corner of Oakwood and Hosner roads, diagonally across from the original schoolhouse. Kingsbury's north and south campuses were born! As part of the change, a new statement of philosophy was adopted. But just as the original schoolhouse stayed in use as a companion to the newer and larger facility, so the strengths and spirit of personalizing education and working together were woven into the new Kingsbury philosophy. With the 1998 addition of the Justin A. Schwartz Center, a gymnasium and performing arts facility and the expansion of the north building in 2000, Kingsbury continued in the tradition of academic excellence and personalized education prized so highly by Annette Higbie Gallogly. Kingsbury closed as an independent school with the completion of the 2012-13 school year and opened as a public charter academy for the 2013-14 year. The challenge to Kingsbury is clear; to remain committed to teaching children the values we so strongly believe and to provide an education in an environment that nurtures talents and creativity. My starting (of Kingsbury) and continued support throughout the years has been an expression of my belief in this philosophy. I am pleased to see others continue and add to the growth of what my first husband, the late Carlton M. Higbie, and I started in 1953. Take a walk down memory lane in this book all about Kingsbury...from the very beginning. Written by Ben Carr Blake and published by Erin Howarth Bardsley ’84, this book is filled with pictures and comments from those we remember during our years at Kingsbury – no matter what decade we were involved. Call the school at (248) 628-2571 or e-mail alum@kingsburyschool.org to order yours today. $22 shipped, $20 if you stop by to visit and pick one up.